Is your child making acceptable progress in special ed? 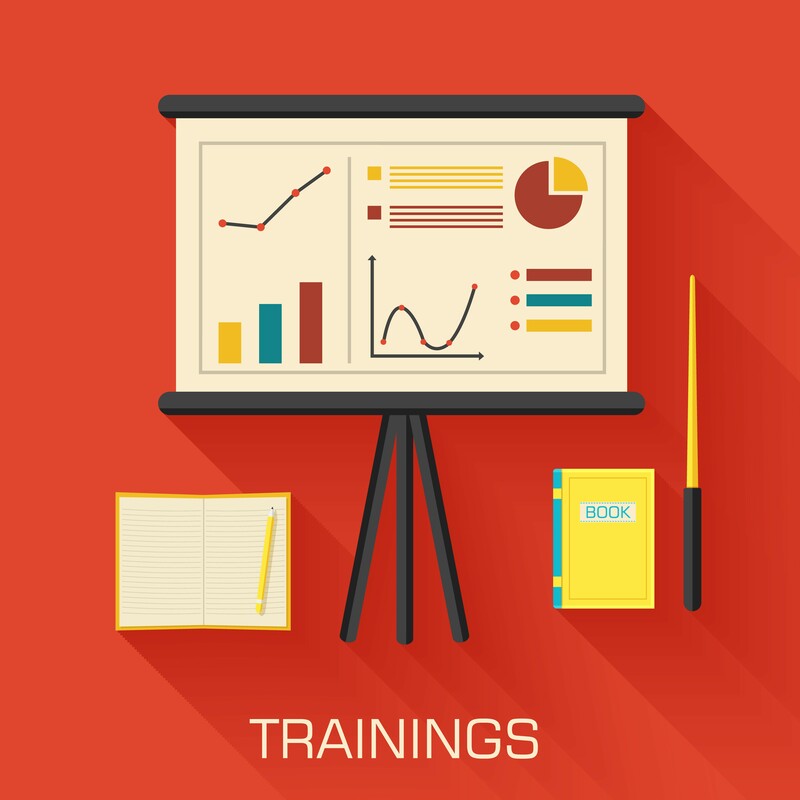 Is your child on track to meet the measurable annual goals in the IEP? Until recently, most parents and teachers could not answer that question with confidence. Reliable information about appropriate research-based programs and objective ways to measure and monitor progress were not available or not being used. Children were placed in inappropriate programs where they did not make progress. This sorry state of affairs is changing. Schools are implementing systems that monitor student progress objectively. The No Child Left Behind Act requires schools, school districts and states to measure their progress objectively and report their progress every year. The U.S. Department of Education is encouraging school districts to adopt progress monitoring for all students, including students with disabilities who have IEPs. 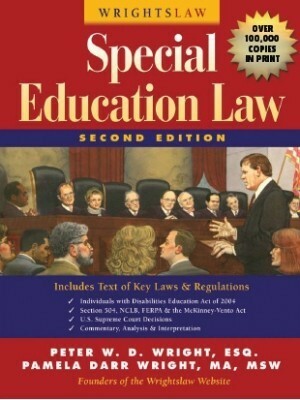 The Individuals with Disabilities Education Act includes a statement about why special education fails to help so many kids – “implementation has been impeded by low expectations, and an insufficient focus on applying replicable research on proven methods of teaching and learning for students with disabilities …” (see Findings and Purposes) To remedy that problem, when Congress reauthorized the law in 2004, they added requirements that special education and related services provided to children be based on peer-reviewed research. What is progress monitoring? How will progress monitoring enable you to know if your child or student is making progress toward the measurable IEP goals? Progress monitoring is a scientifically based practice used to assess a child’s academic progress and evaluate the effectiveness of instruction. Progress monitoring can be implemented with an individual student or an entire class of students. Info for families – Learn about progress monitoring (in family-friendly language), the benefits of implementing progress monitoring for kids, teachers and families, and how to advocate with staff at your child’s school so they implement progress monitoring. 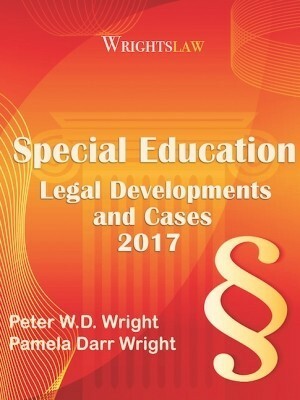 This entry was posted in FAPE, General Info, IDEA 2004, IEPs, Tests & Assessments and tagged IEP, progress, progress monitoring by Wrightslaw. Bookmark the permalink. Jackie, Typically the school does not diagnose dyslexia. That normally comes from a physician. We got a diagnoses from a physician from our doctor. Once you get this done your doctor can send confirmation that your son is dyslexic. This should go a long way to getting accommodations. You can also request a reading and writing evaluation from the school. REquest it is writing & sign their consent form. Once you get the evaluation have your physician help you understand the results. You do not have to sign anything you do not agree with. You can request an outside professional evaluation done at the school’s expense if you do not agree with their evaluation. The school must consider the results of the outside eval but do not have to do what it says however usually they do. This should help you get more for your child. My son does have an IEP however they are refusing to acknowledge my son’s Dyslexia. He has made no progress since he received his IEP one year ago. I have made suggestions to the special ed teacher and my sons teacher regarding his Dyslexia and the response I received is they were not sure how to help him. 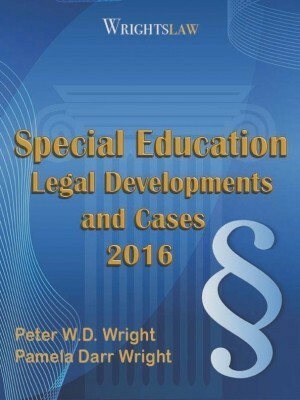 I want to go to formal mediation and want to know what can I get them to do to address my sons disabilities properly? Also the OT at the school just plays battleship and trouble with him this is not helping him with his disabilities and I believe a complete waste of time. I feel as though they are just pushing my son through and not implementing his accomedation that would help him acheive his goals. What can I now ask for? I did not think the school was teaching my child right even though he is on an IEP. I took him to Children’s and had him tested. They said from the testing the school had done from the previous year til now there was no change. He would need a multi-sensory teacher. How do I go about getting that? Q’s. I assist in Sped in the public schools with eval. 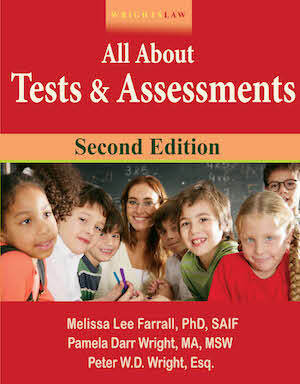 We have limited “official” or standardized assessment so can not formally “diagnose” Autism. However, we wish to provide services for the children who appear to have autistic characteristics and meet the other criteria for placement. Since the diagnosis however (this is just like ADHD?) is the ‘disability’ qualifying component, do parent or us have to insist on getting the formal clinical diagnosis? And, if so, the problem is that we have parents that just do not bring children to clinicians- So do we have to have this formal clinical diagnosis of disability to place the children. We do not initiate due process unless in extreme unsafe emergencies against parents. So would these students not qualify because they don’t have a formal diagnosis in file? My son, age 15, is in 8th grade and presently working with a regular education 8th grade math curriculum with supplemental support from the regular teacher and special ed teacher. He is at a 4.8 level in math. Should he be getting 8th grade work or 5th grad work? We live in PA and ever time we ask the sp ed teacher whey he is getting 8th grade work, she says that is what the district tells her to do. Is this true? my daughter is not progressing in her reading comprehension. what strategies can be used that have been proven successful with this area. she can do math problems but completely cannot do the word math problems due to lack of comprehension. I need information on getting a scribe added to a childs IEP. The family doctor wrote a letter stating that my child needs an IEP but the school states that I dont have the proper documentation when I gave them what they said I needed now they tell me I dont have what I need. 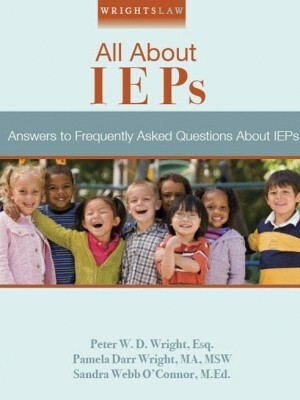 Debbie: I’m not sure if your child “needs” an IEP or already has an IEP. 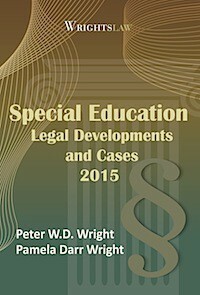 There are hundreds of articles on Wrightslaw about advocacy tactics and strategies you can use to get what your child needs. 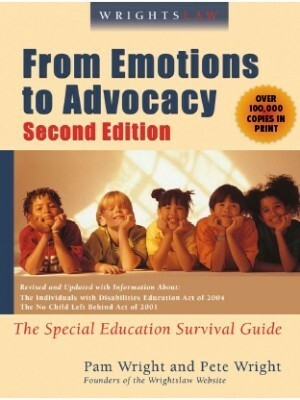 Start in the advocacy section, and check the articles in Doing Your Homework and Ask the Advocate. If documentation is a concern, make sure you are putting all your requests in writing and documenting responses from the school – then make all of this part of your child’s file. 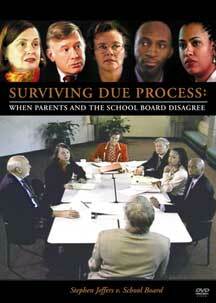 I have filed a due process complaint against County Public Schools in KY. They have not provided a certified sign language teacher for my grandson and he is now 6 years old and has a diagnoses of apraxia. His IEP is silent about providing sign language instruction, and interpreter and goals. He has made no progress with his speech therapy as well. Okay, my son’s IEP has good measurable goals based on peer-reviewed research. However, he is failing on a transitional goal, he seems to be regressing on 2 annual goals, and they according to their own progress report are not working on 2 other annual goals. Now what??? Seriously, most of what I have read is about a disagreement. We do not disagree. So what do I do now????? We are having a problem with our child’s school. They are not providing our child with the proper I.E.P. for his needs. We have been battling with the school for the whole school year now. My mother is an ESE teacher in the next county, and they tell us she can not help us because of the county difference. Isn’t this a state controlled subject or can they give him less quality care because of it being a different county? Please help us. We have tried everything and the school just puts us down and wont listen. I have a question about inclusion, my sons school has grouped all students with IEP’s and 504’s together in a class with non-disabled students and have called this inclusion. The EC teacher is with the classes for Reading and Math. Other than that the class is on it’s own for all other areas. There are about 30 students 1/2 have a plan in place. Is this legally inclusion or self -contained? SD claims that child DID make progress even with graph showing absolutely the opposite. They base it on that he was tested at a “higher” level the 2nd time around (based solely on age). He was 6 on 1st test, 7 on 2nd test. We used same test (KTEA-II) both years. The SD WAS at the seminar I attended — they are trying to poke holes in your theory — is that even remotely possible? My son is in 5th grade and has a reading level of 1.5 grade , has a diagnosis of ASD as well as several learning disorders. I am so concerned about his level of reading. He attends a special education classroom for half of the day, but keeps falling further and further behind. I don’t know if there is any way to help him or if I just have to understand that this is his ability level. My son is struggling and has been struggling for many years. Over the summer we were excited as we were informed the school was implementing a language based classroom. They did in fact implement a LBC; however, as a pullout. My son was diagnosed with PDD-NOS in March of last year. He has not made academic progross in quite some time. He is actually placed in a classroom of 22 students which he is in approx. 2 hours a day. He has pullout all day long to different locations throughout the school. How can a child with a social disorder make connects with students he is with for such a short period of his day? The school had a neuropsychological testing perform on him which recommended a classroom of no more that 6-8 students not 22. Additionally the report suggested a math specialist to teach him math which was declined. I have been proud to serve, it has been hard on our family having a special needs child and living overseas. However, he sees the world as different instead of right or wrong. We agree – we can not get time back so seems wise to put resources into education vs fighting schools. I do know that once we had a full report on medical, motor, adaptive behavior, as well as speech/language and psychology in a nice package with summary of diagnosis, educational implications, long term living requirements and suggested accomodations and modifications and asked the doctor to explain this in person (he did) the school basically did what the report asked for. Methodology is frequently excluded from the IEP; rather goals are listed and the methodology is often left up to the teacher/provider. Your child is eleven years old. Take out all the previous IEPs you have and compare them. Have goals been met? Have goals that have not been met been changed? Write down the various methods that were used and how long they were used for. Perhaps you need to take your son to the IEP meeting with you. Seeing is believing. Apraxia and Autism are two different disorders. While the child with autism may not speak, the reason for it may be different from the child with apraxia. Children with autism are often taught how to speak and communicate using ABA (applied behavioral analysis). Children with severe apraxia may be taught using that same system, but it is often common to use PECS, or a communication board. You need to present the school with a letter from the diagnosing physician stating specifically what the child’s disorder is. Have that included on the IEP. My son 11 yr. old son is in his 3rd public school in in 5 years. Because my son has not made meaningful progress in the past years, the school systems passes him from one autistic classroom to another instread of implementing a methodology that has proven effective. My sons diagnosis is Aprixia and the meaningful methodology is called The Association Method which is a multi sensory language based learing program. The school will not address this diagnosis nor this type of learning method. I m am distrught. It has been out experience that the School report card may not be an accurate picture of how well they do with special education kids. Our son in a private setting now and had we known then what we know now, we would have put our financial resources into paying for this private setting years ago. If you do the simple math of comparing what a school district is willing to pay their attorney to challenge your child’s right to a free education, to what they are willing to pay the paras to assist in providing the free education, their priorities are pretty clear. We as parents should never be surprised when this priority scale tips and our kids are catapulted from the system. Thanks for fighting for our Country ! We used NCLB report cards to check out many schools for our son (several special needs). We have obtained help from STOMP and the Alabama Parent Training Center. We could not find any schools that were a good fit for our son as he can not survive in the processing plant size middle and high schools. We are working to see if a private school is simply worth what we will save in time on task investment for our son who is one to two years behind and all the stress and hassle advocating brings to a family. We simply do not have time to waste fighting the system. Time needs to go to preparing our son to be an independent adult and fully vested member of his chosen community. However, we are using IDEA and NCLB in combination to see if the public school will assess our son’s special needs as it is now required to do – even in private school. Parent Advocate is acting a neutral advisor as they know the schools in thier area. We have been advocating for our son for 10 years with hard fought successes – still he is one to two years behind. 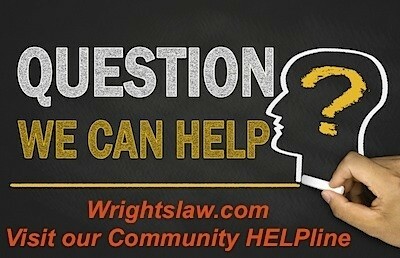 Without IDEA and NCLB and sites like Wrightslaw.com we would not know what we were getting into to the detrement of our son. I have been deployed to some middle east countries that simply throw out people with and without special needs like trash. I am glad to serve our country and that it is trying to serve my son. Thank you for answering my posts concerning progress monitoring. Your article is very informative. 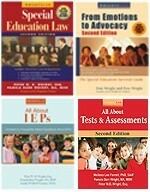 Is it possible to find a school district “out-of-compliance” with 2004 IDEA law if they cannot produce written evidence of progress monitoring or produce any evidence of educational activities that relate to a student’s IEP goals and objective?